So we went to find another kind of motor vehicle! We saved up for me to buy a new bike a while ago, but with our big move, we decided just to wait until we got to Charlottesville. A month of being busy later, today was the day! My previous bikes have been gems from Target, Walmart, Craigslist and a hand-me-down, so this is my very first [expensive 😳 ] big girl bike! It rides soooooooooo smoothly! I ended up with the 7.2 TREK which seemed like a perfect blend of the other two. Scott at Blue Wheel Bicycles was a HUGE help!! I also got a rack for the back, a cool carrying snap-on bag for groceries and purses and some lights for night riding. Then we went to seek out coffee. I was adamant that we avoid a glass carafe. Yesterday’s accident marks the THIRD time we’ve shattered coffee things and I just knew we would again. We considered this but ultimately decided that the carafe was part of the coffee fun and is better for pouring, esp when entertaining. I wanted to get this, but Matt was adamantly opposed to the control panel (and while there was lots of stainless, I didn’t care much for the black base). I think it looks hawt and want to make some coffee right away!! Can’t wait to fill ‘er up tonight and just press "GO" Karen Monson style! 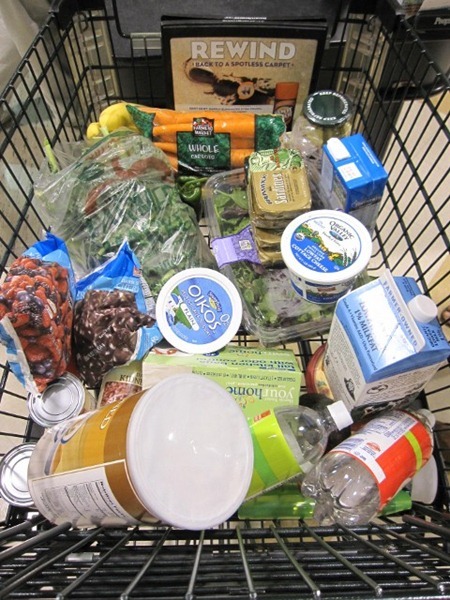 After coffee shopping, we went grocery shopping. We are still missing staples in our kitchen. We’re now over grocery budget for August, but after picking up staples, we should be good for a month just getting a few things here or there. I have a call…and then we might go bike riding! SO exciting about your new bike!! I’m in the market for one, too so glad to know which one you went with. I’ve shopped around and will probably get one in the next month or so. 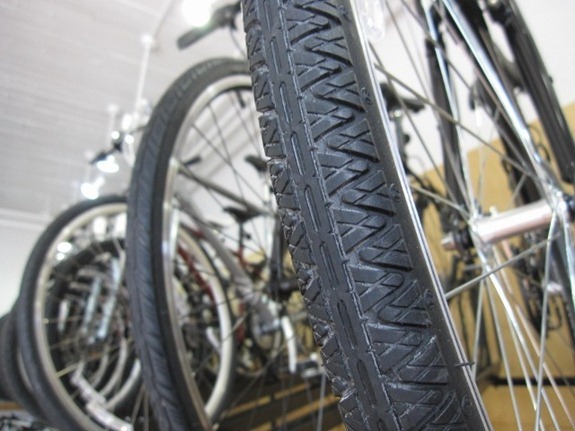 I CANNOT WAIT to ride around everywhere…except I need to move to a more bike-friendly city. Soon! 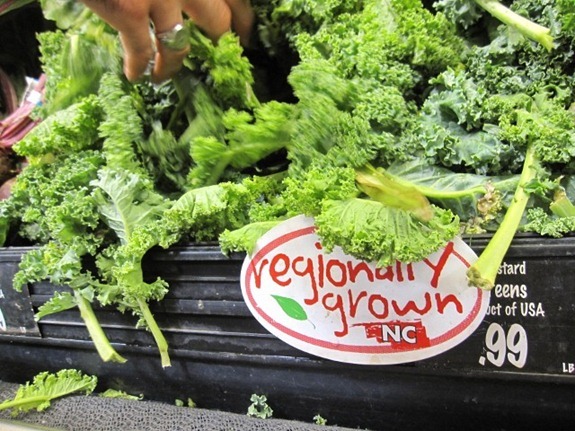 Kale is never that cheap for me – and I can never find good kale around here! I don’t have a coffee maker at home. I DO however have an espresso maker. I never keep veggie stock on hand, but I really should start doing that. I bet it would make my quinoa so much more flavorful. Oh it’s times like these when I wish I knew something (anything!) about a) bikes and b) coffee/coffee makers..this post would make much more sense if I did! That bike sounds great for you. It always pains me to see how much they are. I don’t think I’ll ever own a bike for that very reason. 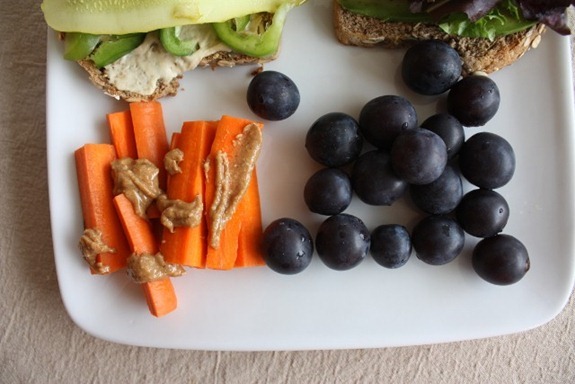 I could go for a carrot with nut butter right about now. Mmm! Glad you still got to get things done. I know when my original plans change I have a hard time being productive. 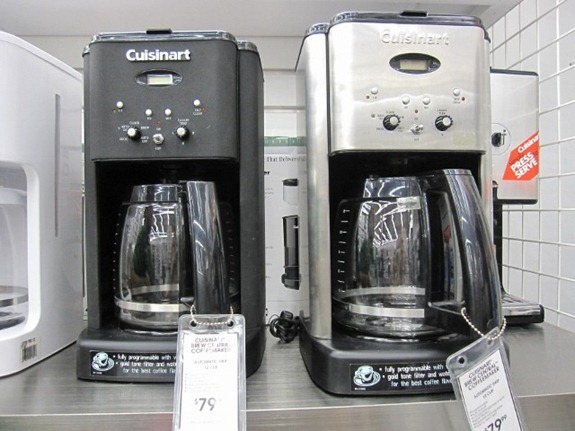 Also, your new coffee maker is awesome– its just like my mom’s but hers has the stainless carafe. Fingers crossed. 🙂 PS: In preparation for the Oct. 10 k, I ran just under 5 miles today! The most I have run in about 10 years. I would not have done it without your inspiration, so thank you!! Congrats! I’m running that race – just registered! We should run together! Huge, huge, HUGE Trek fan here. I’ve been riding Trek bikes my entire life and am currently on my fourth one – a 2009 Trek 6000 mountain bike (hardtail), which coincidentally, I chose over the 7.2FX. Love that gun metal gray color you chose – that’s one sweet lookin’ ride. Enjoy it! Hummus sandwiches are my favorite – I really like to add roasted red peppers and feta but hummus and avocado is also a great combination! 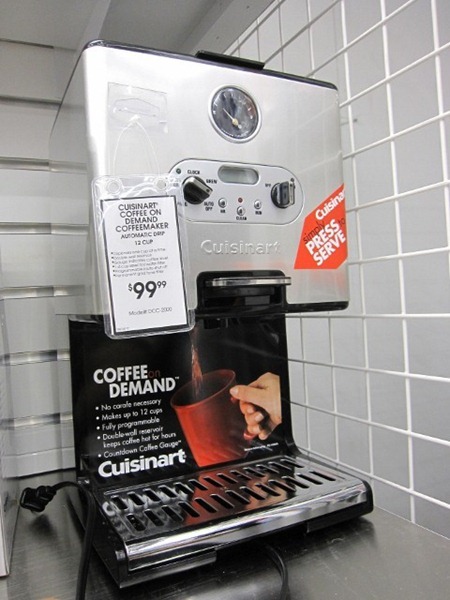 I’ve been lusting over that cusinart coffee maker for over 2 years now, and I keep talking myself out of buying it as well, eventhough I’m now on my third cheap coffee maker because they keep dying on me! Too funny! I’ve had two of those very same coffee makers and they both just stopped working. I decided two was enough. I have a trek mountain bike that I have not ridden in years. So sad. Great bikes though! Enjoy it! 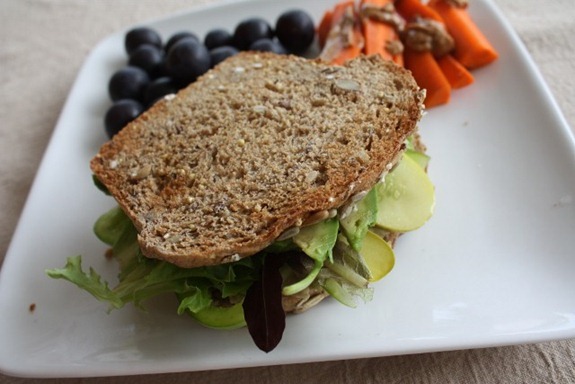 Your lunch looks delicious and yeah, the bread can make or break a sandwich. Have fun this afternoon. Love those 20% off BB&B coupons (I’m assuming that’s what you used for the coffee maker). Did you know that they will let you use as many as you want in a single transaction, even if they are WAY expired?? I saved up a whole bunch before and after my wedding and then went to town completing my registry. With all those coupons I saved hundreds of dollars. Ridiculous! Hooray for the big girl bike! I’ve been spoiled with good bikes since I was a kid, they make a big difference! New bike. New coffee maker. 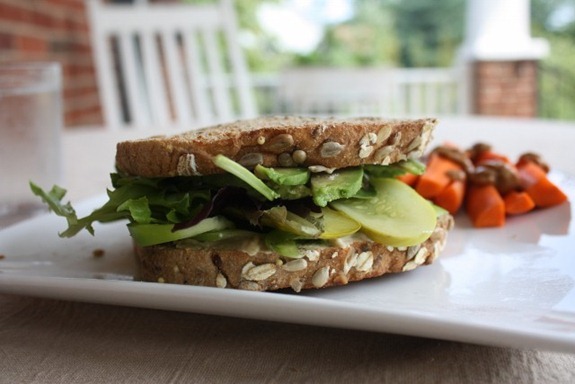 Pickles on a sandwich. That bread looks soooo good. I really need to bulk up my sandwich bookends with some thicker bread! 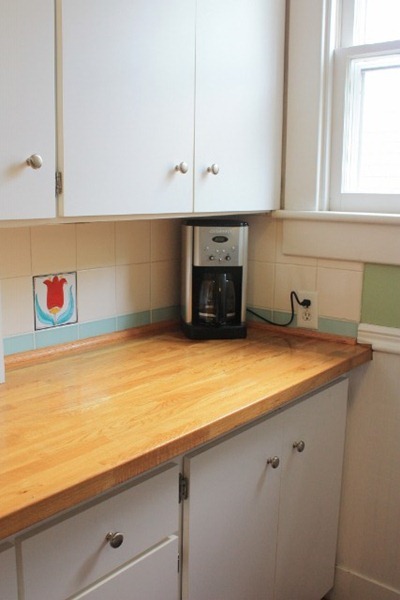 I actually have the exact same cusinart coffee maker. I’ve had it for 4 years and LOVE it. You won’t be disappointed. And if you get the gold plated filter you never have to buy any coffee filters – the coffee tastes better and less waste! It came with a gold filter! We have the same coffee maker and even bought a new one when the other one got old after 10 years. it makes great coffee and get the gold filter so you don’t have to use paper ones. I have the same coffee maker! Let me tell you, there is not much better than waking up on a winter morning to the smell of fresh coffee brewing away! 🙂 My maker is currently in the closet as I’ve been using my french press so much lately, but seeing it again on your post makes me want to dust it off again. In Charlottesville, the Sabra hummus is $.50/container cheaper at your local Food Lion than it is at HT. I hate making multiple trips when doing the shopping, but if I can find other reasons to stop at FL, I’ll stop in and save the difference. Of course, I’m not biking like you, so a second stop is a bit easier for me. Cottage cheese hides pretty well in oats… I almost managed to sneak it past the cc hating bf, but he noticed “little white dots” and inquired, oops. Even better than cc in oats = cc in smoothies! I haven’t found a protein powder with a taste that doesn’t offend me, so I use cc. Hey Kath! First off, I’ve become way too addicted to your blog since I discovered it this summer. It’s great! Second, did I read in an earlier post that you ran a half marathon? I’m training for my first (end of October) and wanted to know if you had any training tips. I’ve run quite a few 10ks, and usually run around every other day, but I’m freaking out a bit over running 13 miles. I have that very same coffee pot. I should say HAD. Ours started smoking about a week ago. It was pretty scary. I still drank the coffee though. yay for a big girl bike!!! I just love my Cuisinart coffee maker!! great choice.. can you program it to start while you are still in bed ??? That’s my favorite part about it 😉 It’s like a mastercard commercial.. PRICELESS! I have a 7.3 FX and ride it everywhere…through the worst snowfalls here in IL, even. I know Scott through a friend! Glad he gave you good service. I have to ask — what do the insides of those plums look like? Do they have a seed? Are the skins tough? I forgot to say – they are kind of gross! But JUST like a plum with a pit. I couldn’t finish them all because they were mushy. That’s the same coffee maker I have! Love your new bike – how fun!! Sounds like it’s perfect for you. Let us know if you like your new coffee maker too. I’m anxious to hear a review. I have that coffee maker and I love it! You won’t regret the glass carafe either. I have dropped it on the counter and it didn’t break. That’s the coffee pot I’ve had since our wedding and I love it! I have the same coffee maker and I am a certified klutz. I have banged it around a few times and have yet to break or even chip it. I’m sure if I dropped it on the ground it would certainly smash, but what glass objects wouldn’t? Anyways enjoy! I love the timer and ‘beep’ features! However, it saved a grocery bill and waste at least! What a fun trip! (Not the DMV I mean, lol) I remember when Jason got my bike, it was off of Craigs List and it is still treating me fairly nicely 🙂 Yay for getting a new bike! And BTW, bananas is a first on my list of must-have’s for the house! yay congrats on the big girl bike!! You should check out the SodaStream seltzer maker! You’ll never be out of seltzer again, you can control your amount of fizz, add natural mixers, and the reusable bottles are environmentally friendly! (I’m slightly obsessed with mine, as are every other person I know who has one). Sorry, I know seltzer wasn’t the focus of this post, I just noticed it on your “must haves” list. I have a version of that coffee maker and love it! I want one of those! There are different types and I can’t figure out which one to get! I have what I think they are now calling the “fountain jet” and I love it. It’s the cheapest of their models but it works great. I love bike riding it is oh so enjoyable and relaxing 🙂 I have been rocking the same bike given to me for my 13th birthday for the last 6 years! I hope she holds up for me a little while longer! I have that coffee maker and love it! We have yet to break the carafe….Good Luck! Love your new bike! I have the same one! I bought it in May and have loved it! My husband and I are actually going on a mini “fitcation” over labor day weekend and taking our bikes! I like your list of staples. Mine includes milk, celery, carrots, onions, spinach/arugula/greens, yogurt, oats, frozen fruit, chicken broth, bananas, canned diced tomatoes, and maybe I’ll be adding beans, kale, and some sort of potatoes to the mix. We’re out of a lot of our staples! But we’re going out of town for several days, so we let our stash get bone dry. Nice bike! I’ve been contemplating buying one, but will probably wait until my husband and I move out to the ‘burbs… Boston city roads are horrendous for bike riding. 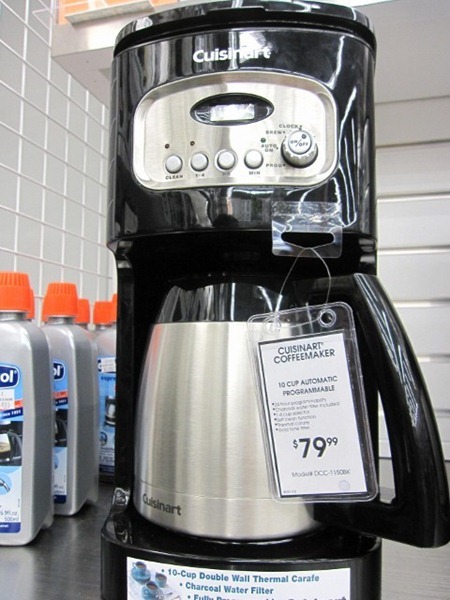 Good choice on the coffee maker – we have the same one and love it! I’m getting a new bike very soon, and I cannot wait! It will, however, be a hand-me-down. Sweet bike! Can’t wait til we move back to the States and I can get a big girl bike! We have the same coffee maker and we love it! The automatic brew setting is awesome and we never had any problems with the glass carafe…sounds like you and Matt may be a little heavy handed though, hehe 😉 Hope this one doesn’t break! Kath, that sandwich looks amazing! 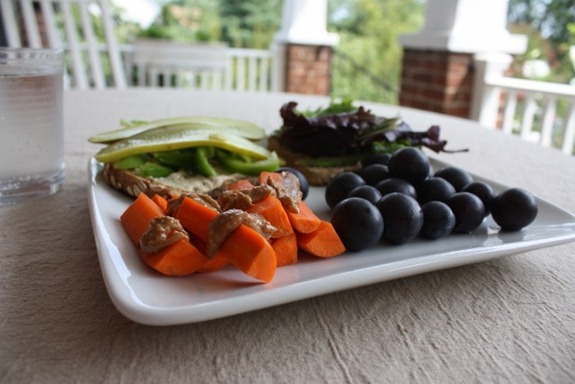 I love hummus with avocado – never thought to put pickles in there, too! Must try. Also ventured out to the only Great Harvest in the Houston area a few weeks ago (it’s in The Woodlands) and got a loaf of Dakota. Needless to say, I am officially obsessed. My husband is allergic to seeds and nuts so he couldn’t have any – he asked me to describe the flavor to him and I said, “beer cake!” YUM! It froze well, too! I am planning another trip very soon to try several more varieties. Awesome selection on the bike!! I’ve been looking to trade my mountain bike for something more street/commuter friendly, and the Treks have been calling my name. Let us know how it holds up for you, I’d love to get a good review before I part with my dear old Specialized. Awesome new bike!! There must be a world of difference between WalMart bikes and Trek bikes! It’s awesome they’re suitable for grocery shopping, too! I have the Trek 7.3 (also my first ‘big girl’ bike)! Congrats.. you’re gonna love that bike!! Got mine for a year and have been extremely happy. I didn’t know there WAS a stainless carafe version!? My husband has a hybrid Trek similar to that – he loves it! Perfect for commuting. Did you get clips or are you going to just ride in sneakers for awhile? Gotta have the pickles! I just recently got a free sample of that Sabra Hummus at an event – it was good. Congrats on the new bike. It can be hard to lay down the money for a good bike, but it’s definitely worth it. I’m coaching a friend through the process right now. Once you look at the actual cost of owning and operating a car (including those horrible visits to the DMV), the price of the bike is much easier to justify 🙂 Enjoy it! Wow, that’s a serious bike! Congrats Kath. I like the coffee machine you picked the most out of the three… the only other additional problem with a glass carafe (other than easily breakable–although I did break the handle of a stainless one the other day just dropping it on the kitchen floor 🙁 ) is that it doesn’t hold the heat very well. A thermal insulated carafe is the best way to go if you end up making the change in the future! 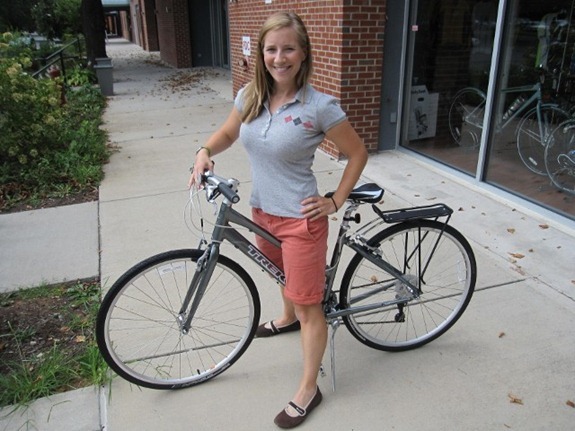 Congrats on the new bike, my husband has a Trek but I’m still riding a Schwinn I bought when I was 15 for $300. We are seriously considering being dorky and buy a bikes with a bucket seat. Thanks again for answering my questions a few weeks ago about you header. I really like your new one. I just started my blog and look forward to getting a header up that I love. I forgot to add I like you new favicon too. Several things: CONGRATS on getting an AWESOME bike and coffeemaker!!! 🙂 I went grocery shopping today too, and I just made Aarti’s (Next Food Network Star) massaged kale and mango salad. My sis, bf, and I are going to enjoy it tomorrow with brown basmati rice, grilled chicken, and her creamy pistachio pops with my tweeks for health and more flavor. 😉 You should definitely try these recipes because I can already tell they’re going to be fabulous! I am also cooking up the kale with organic rye berries and dry beans soaked and cooked ’til deliciously tender for another dinner this week, similar to some of your greens, beans, and grains dinners. 😀 Just wanted to let you know that you have been yet another inspiration to a great meal here! I like the new bike! Talk about riding in style! The model DCC-1200 isn’t listed though!? Does it still work OK? i LOVE your shoes in these pictures! what are they/where did you get them? Thanks! Apparently someone on Twitter did NOT like them!? I have that coffee maker and love it! Its my best friend in the morning! I have that coffee maker and love it! I am thinking about switching to a stainless steel carafe though. With our last coffee maker, our glass carafe was broken for probably over 6 months and I never even noticed! Scary! Who knows how many shards of glass my husband and I may have ingested! Yay for the new bike! I have a trek seven-something too, which I inherited from my mama. I am pretty sure you forgot the most important thing on your list of staples though: nut butter! Yay for a new bike! I bought a Trek hybrid as my first “big girl” bike and I looooove it! So smooth and perfect for commuting or for fitness. I have a Trek bike. I used to ride it all the time when I was younger, but we don’t live in a “bicycle friendly” area. My parents have that same coffee maker! I have the same coffee pot and I LOVE IT!!!! what kind of milk do you buy, besides it being organic? low fat, skim, full fat? I prefer 1%. Sometimes we get skim (because HT brand doesn’t come in 1%) and sometimes we get 2%, which is my favorite flavor, but probably a little unnecessary fat. 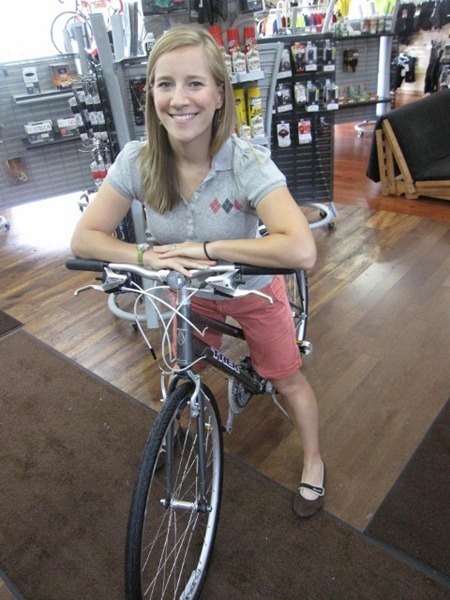 Kath great bike choice, you are going to have a blast! BTW you look amazing! Your new wheels look great! I love riding my bike and try to do it everyday. The city I live outside of is trying to become more biker friendly, unfortunately, it is not very accessible unless I drive there. Oh well, looks like I will be sticking to the trails some more. I’m glad you passed up the Cusinart ‘press n serve’-it leaks everywhere every single time I make coffee. The idea is awesome, but the execution is a giant fail! I want to go to harris teeter when I’m in the US! You have a picture of the stainless steel carafe? I love your bike. I have a Cannondale Adventure 5 & I just love it. It is perfect for going around town. I hit our local bike trail each afternoon after work. I don’t have to worry about cars. 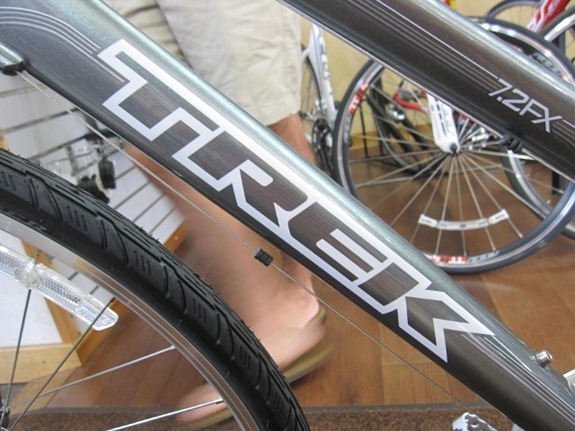 Keep us informed on how you like your Trek. I think it is great that you live close enough to everything that biking is an option to a car. We have that coffee maker. Works like a charm! 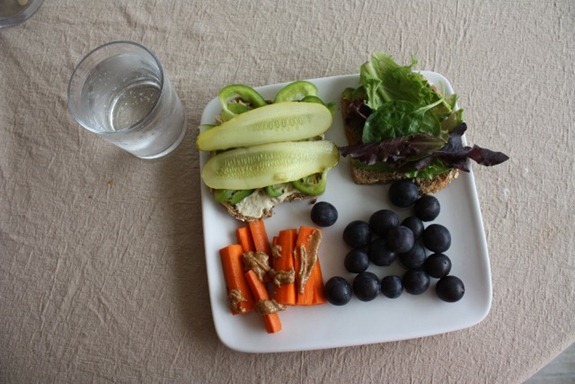 That lunch looks so yummy! Plum balls?! I’m in love! 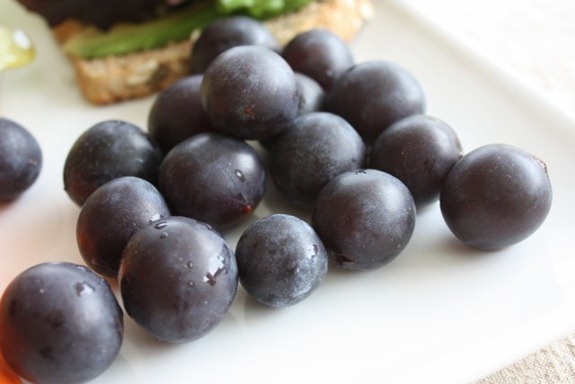 Plums are one of my favourite summer fruits – can’t wait til it’s summer here in Australia! I just looked at bikes myself and I understand how expensive yours must have been. I was shocked and pretty much fell to the floor when I saw the prices. You should try out Craigslist. I got my Trek Pilot 2.1 road bike and my Specialized FSR XC mt bike from Craigslist and saved about $500 on each of them. If you live in a touristy spot with good places to bike, you can also try to find a bike rental company. 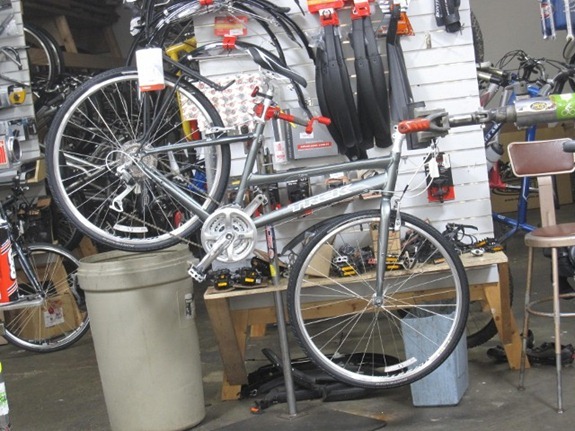 I bought both of my bikes from touring companies and they were well maintained. 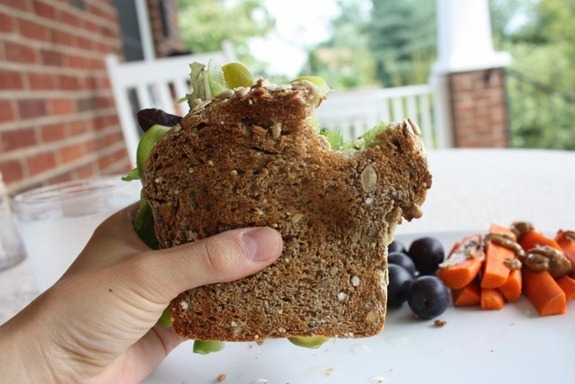 Your sandwich looks GREAT– one of my fav combos…..
Hey Kath – weird question, but who made your shoes in the first bike pics? They are SO cute and must be comfy if you are ridding your bike in them. I’m always looking for shoes like that – thanks!!! Nice choice of bike, I’m picking my new bike up today a Specialised Sirrus but did want to try the Trek 7.2. Sadly they are end of season here so I never got the chance, hope it rides well. Keep your husband AWAY from the Trek FX + …power assist bike. My husband rode one and couldn’t stop talking about it for several weeks! You will love your Trek! BTW I have a clip on purse for the front of my Navigator from DETOURS, check it out…it makes a great shoulder bag and even comes with a rain cover. Happy Riding! omg kath, i love your shoes in the top picture (well i guess they are the same in all of them haha)! Can I ask where you got them? Also, I own a Trek 7.2FX and I love it! I bought it for my upcoming Triathlon and so far so good. The seat is a little uncomfortable but with bike shorts it’s not too much of an issue. I’m sure you read in the reviews of it about the seat issue but so far I have yet to replace it. Enjoy it! Shoes are Champion from Payless 2 years ago! Congrats on the new gear! I think you made the right choice with the glass carafe. When my tech-savvy BF was in the market last year he chose a highly rated and very expensive stainless steel maker saying that it just had to be better than my trusty glass one. Six months and two new carafes later we had tried eveything and even called the manufacturer about the coffee having a gross metal taste. He ended up having to get a new one, which has a glass carafe, hehe. I’m not sure if this problem would be for every brand, or if we just got a dud. Anyways, i have had my trusty glass coffee maker for many years, it’s easy to clean and never has a funny taste! I love my Trek! I love your wooden countertops too! Congrats on the new bike! I got mine a month ago and am basically in love. We should meet up for a bike ride sometime soon. There are lots of pretty short-ish rides around here. First thanks for an AMAZING website. I love reading your posts! Second, I also just bought a Trek 7.2FX as well, and can’t wait to get out riding it. Are those plum balls grapes?? 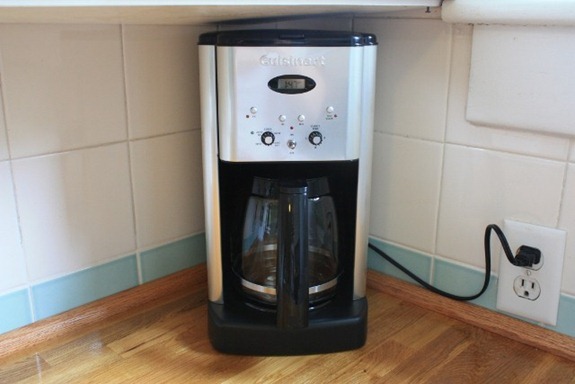 The coffee maker you considered is the one I had forever + loved loved loved. So unique! I am obsessed with the french press + afraid of germs, so I finally gave it away.